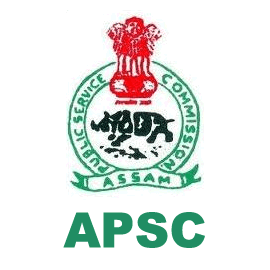 APSC News / Updates 2018: Here are some of the very important updates and news regarding recruitment drives being conducted by APSC - APSC - Assam Public Service Commission. The recent updated published related to the organization is - CCE (Prelims) Exam Date 2018. APSC CCE (Prelims) Exam Date 2018: APSC - Assam Public Service Commission has announced Date of Combined Competitive (Pre.) Examination on 30 Dec 2018. APSC - Assam Public Service Commission has issued the list of Selected and Rejected Candidate on 13 Oct 2017 for post of Assistant Engineer (Civil) under PWD Department. Selected list for Asstt. Engg. (Civil) under PWD Deptt. Rejected list for Asstt. Engg. (Civil) under PWD Deptt. The intimation letters will be uploaded in APSC's website (www.apsc.nic.in) on 17-10-2017 and the will not send individual intimation letter separately. News Advt No: Postponement of Screening Test of AE (Civil) under Water Resource Deptt. It is for information to all concerned that the tentative date for Screening Test for the posts of A.E(Civil) under Water Resource Department scheduled to be held on 30-07-2017 has been postponed due to unavoidable reasons. The final date will be intimated in due course. It is for information to all concerned that the tentative date for Screening Test for the posts of A.E(Civil) under Water Resource Department scheduled to be held on 30-07-2017 has been postponed due to unavoidable reasons. The final date will be intimated in due course. It is for information of all concerned that the Assam Public Service Commission will hold interview/ Viva-voce for the post of Lecturer, DIET in the Directorate of SCERT under Elementary Education Deptt. as per programme given below at its office at Jawaharnagar, Khanapara, Guwahati-22. No intimation letter to the eligible candidates shall be sent separately by post. The intimation letter shall be uploaded in APSC’s website (www.apsc.nic.in) on 18.07.2017. The candidates shall have to download their own intimation letter from the aforesaid website. Any query in this regard shall be entertained over telephone No.0361-2365426 during office hours w.e.f 20.07.2017.